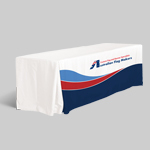 A fitted table cover is a great solution if you’re looking for a polished look. 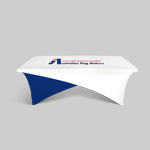 They’re great for professional events, but what if you’re looking for a high-quality table cover that is a bit less formal? 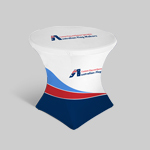 Pleated table covers are a nice compromise. 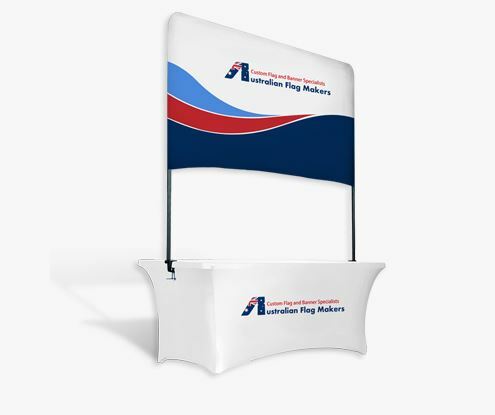 They are specially constructed for tables that are six and eight feet in length, but instead of providing a smooth finish, they are pleated at the corners, adding a little interest and depth to your display. 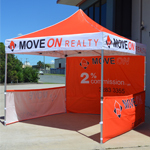 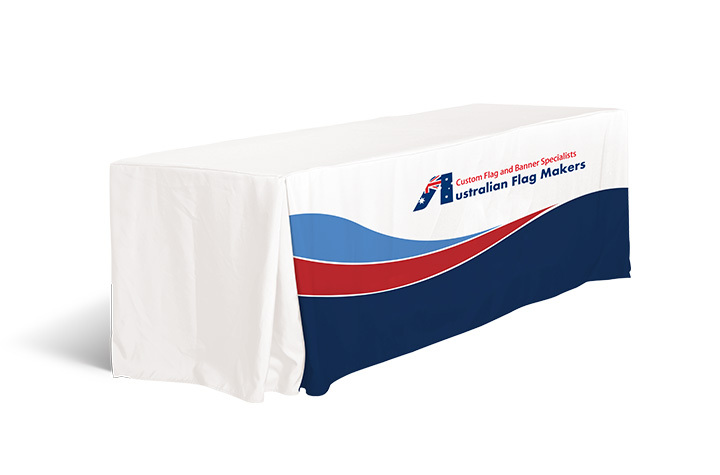 Because the pleated table covers from Australian Flag Makers strike the perfect balance between formal and informal, they fit in seamlessly at any event. 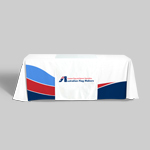 From indoor trade shows to outdoor sporting events, showrooms, and more, you’ll look like you planned ahead with a pleated table cover. 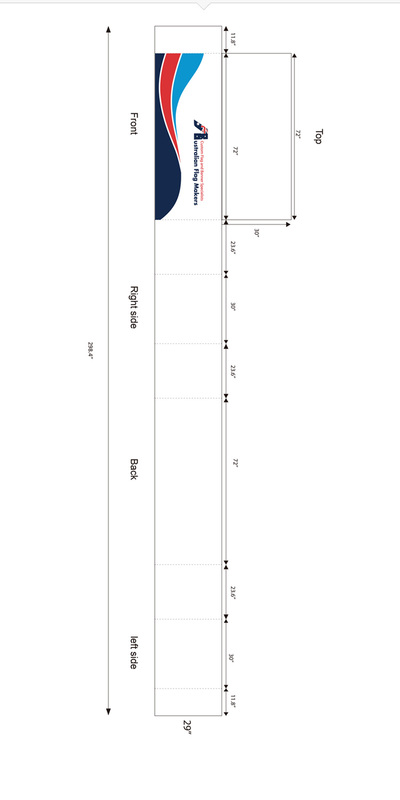 Unfortunately, planning ahead isn’t always easy. 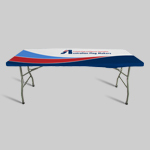 Multiple table sizes might be used at the event, which means you need to be able to order a cover that’s just the right size. 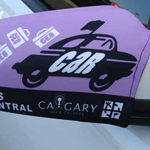 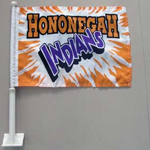 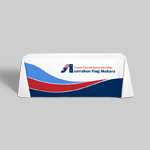 We can quickly and easily customize a table cover for the two most commonly sized tables, but we’re also able to customize a pleated table cover to your exact specifications. 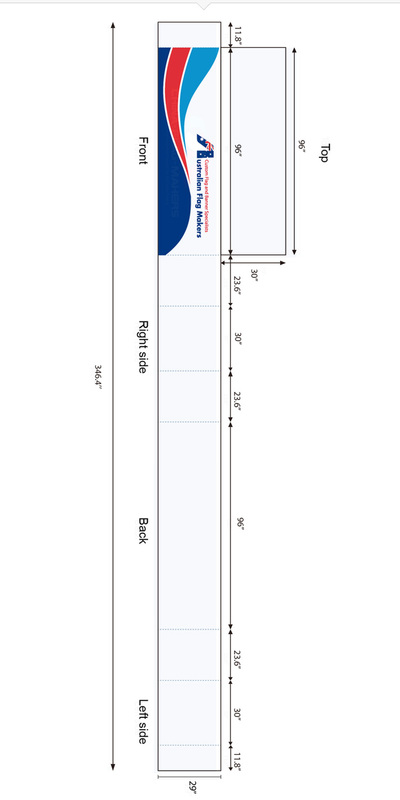 You just have to provide us with the measurements. 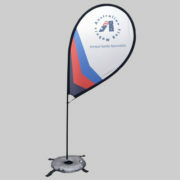 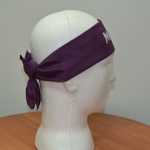 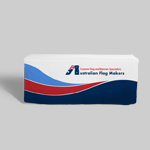 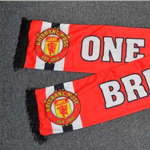 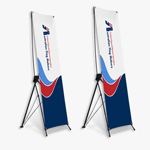 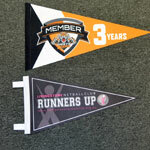 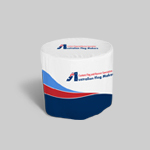 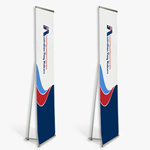 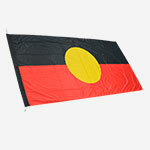 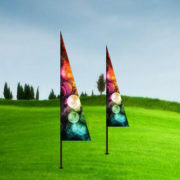 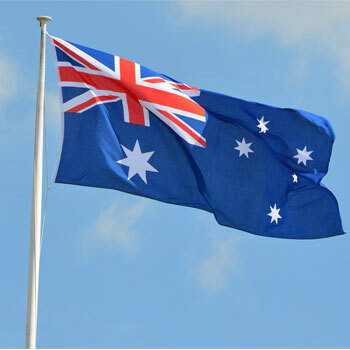 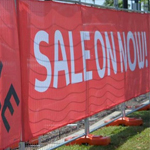 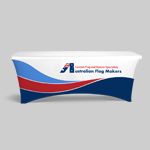 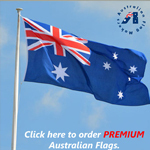 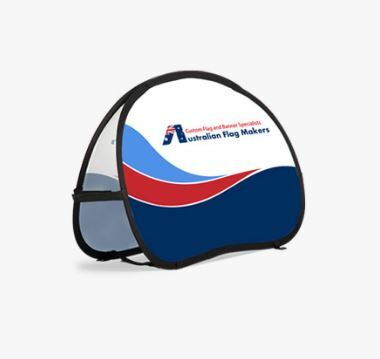 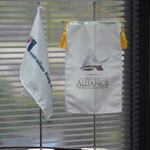 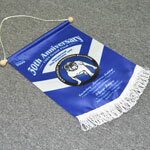 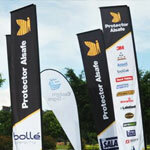 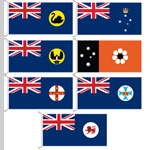 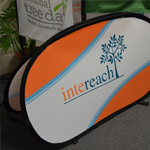 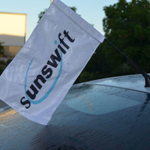 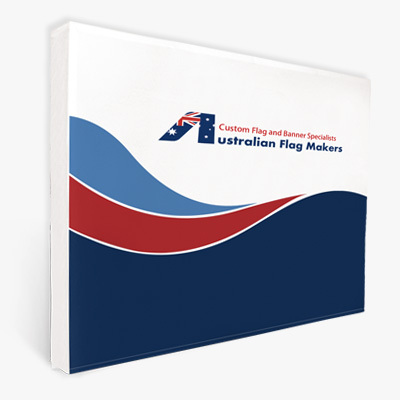 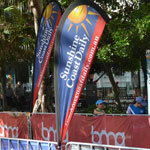 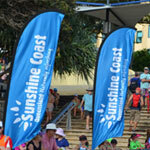 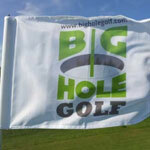 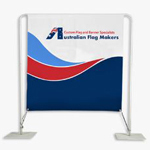 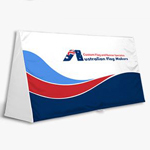 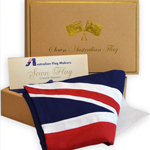 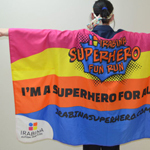 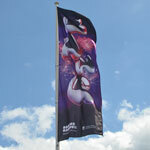 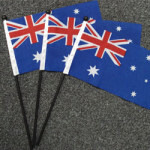 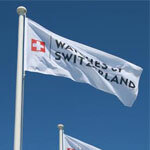 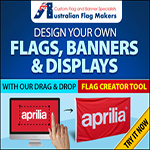 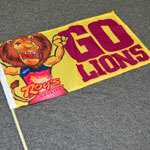 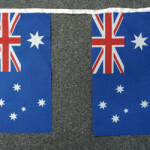 It’s all about ensuring a positive customer experience when you shop at Australian Flag Makers Not only do we work with you every step of the way when it comes to creating the right logo, we also offer extremely quick turnaround times. 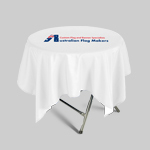 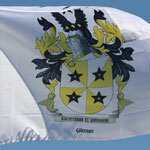 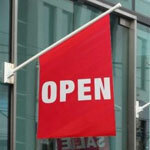 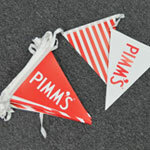 We can even create your next tablecloth and ensure it arrives on your doorstep within 48 hours! 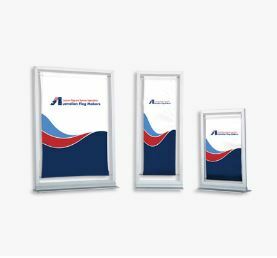 No matter how simple or complex your request, we can turn your vision into a reality. 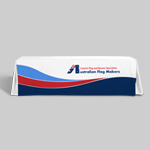 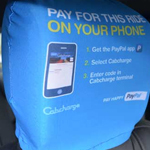 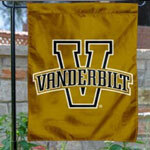 It all starts by filling out our custom form so we can provide you with a personalized quote.